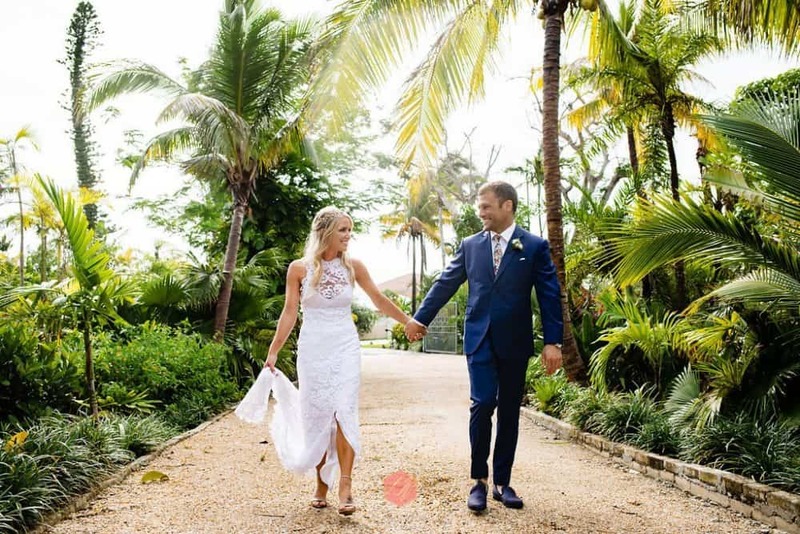 Leslie and Mark planned an outdoor Bahamas garden wedding at Mark’s parents’ private estate on Grand Bahama Island. But, mother nature had other plans. The couple’s wedding day, May 27th, 2018 arrived. Rain also arrived. Sustained rain continued throughout the day. Nevertheless, the impeccable backup plans were in place. And, these plans were perfectly whipped into place. 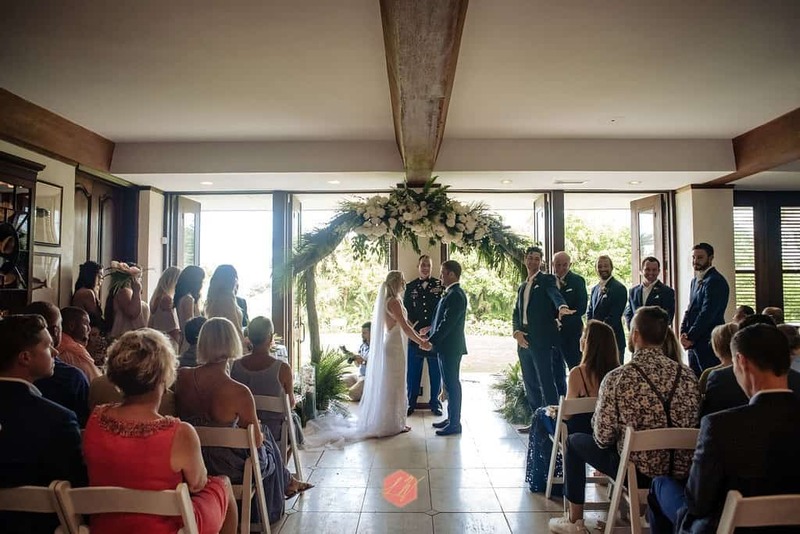 Mark’s parents’ lovely home was transformed into ceremony and dining space. 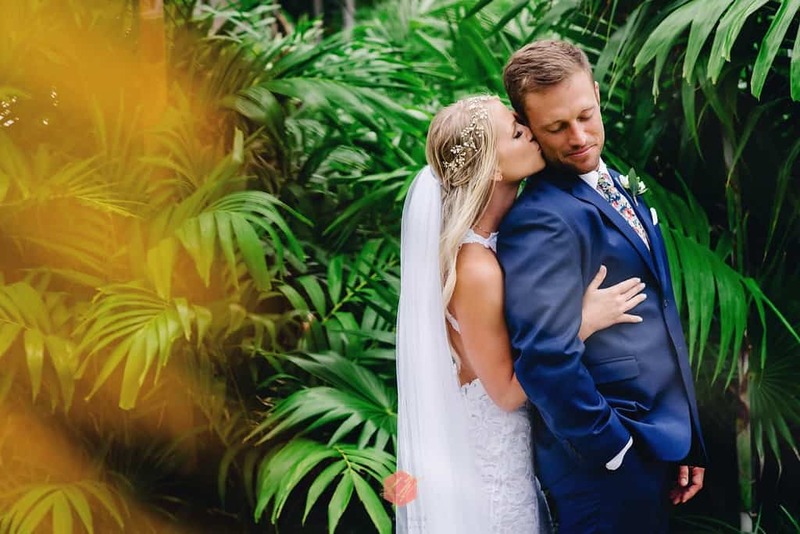 Undoubtedly super lush gardens perfect for Leslie and Mark’s special day. Undoubtedly, the weather was a big concern. Despite this, Leslie and her bridesmaids cheerfully carried on with on-location beauty appointments. 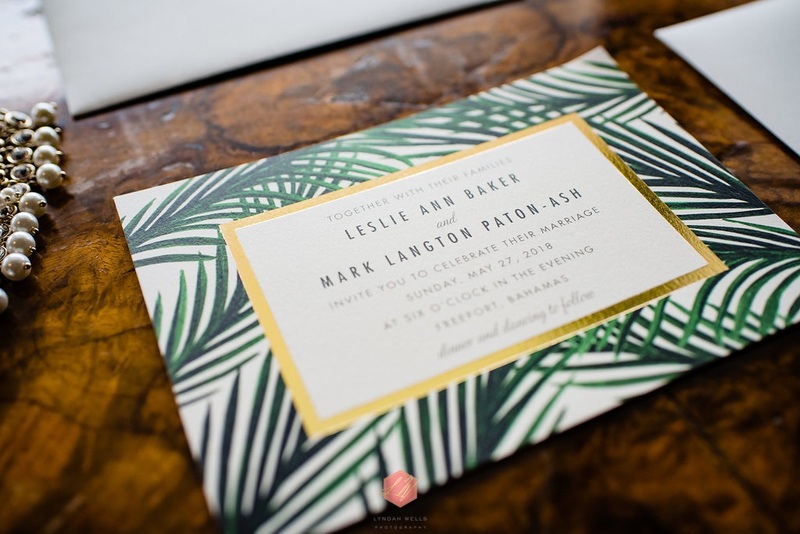 Leslie and Mark’s invitations were all about laid-back tropical luxury. The Bahamas in a nutshell! A bride and her gals! 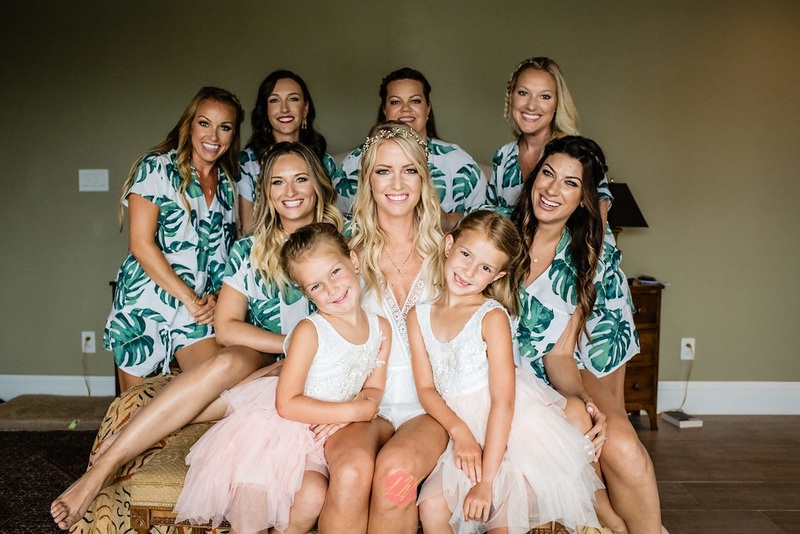 We love the tropical PJs and those sweet flower girl faces! The sweetest first look. 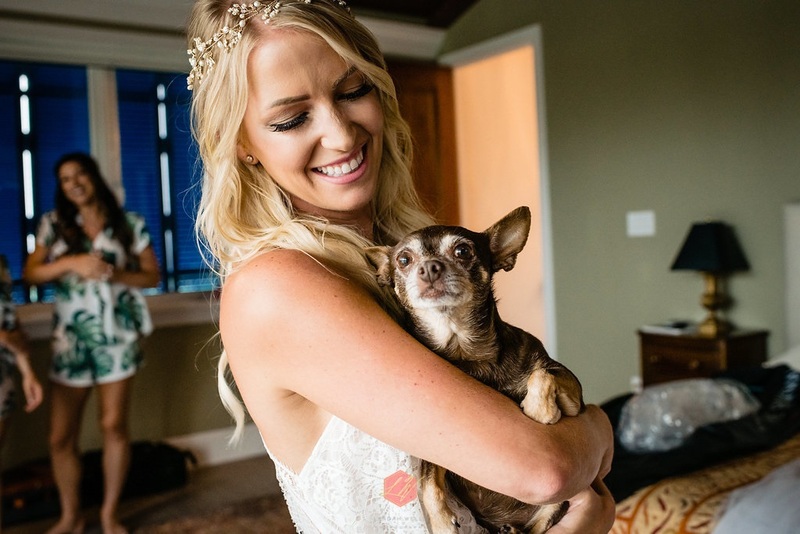 Leslie’s Grace Loves Lace wedding dress was stunning. The weather improved as the day progressed. Despite the rain, the opportunity arrived for Leslie and Mark to grab their first look photos. Photographer Lyndah Wells, who documented the day, quickly jumped into action. Needless to say, the most gorgeous photos were captured as Mark admired his bride. Find a mate who looks at you like Mark looks at Leslie! 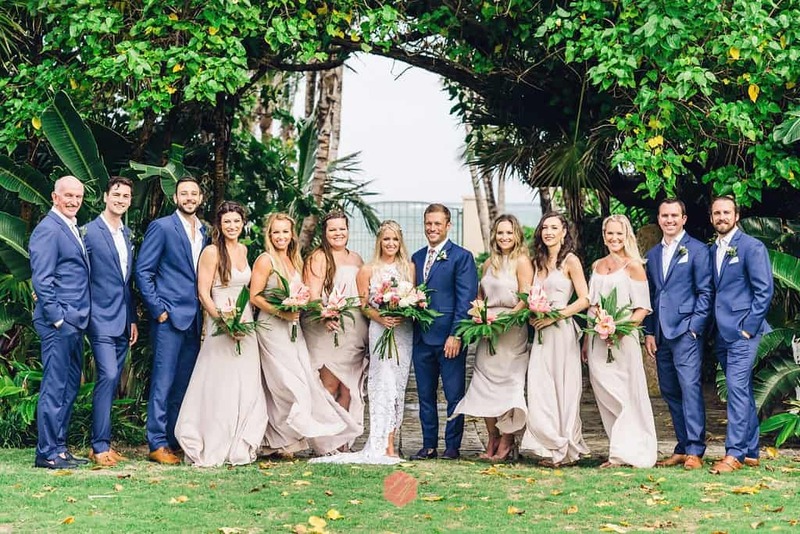 Leslie and Mark tied the knot before near 100 family members and friends in a late afternoon ceremony. Leslie’s brother-in-law officiated. The improved weather continued. Our steelpan duo set up in the garden. Without a doubt, guests loved the fresh air and enjoyed cocktail hour in this beautiful setting. A buffet dinner followed. Flying Fish Bahamas catered a scrumptious spread. 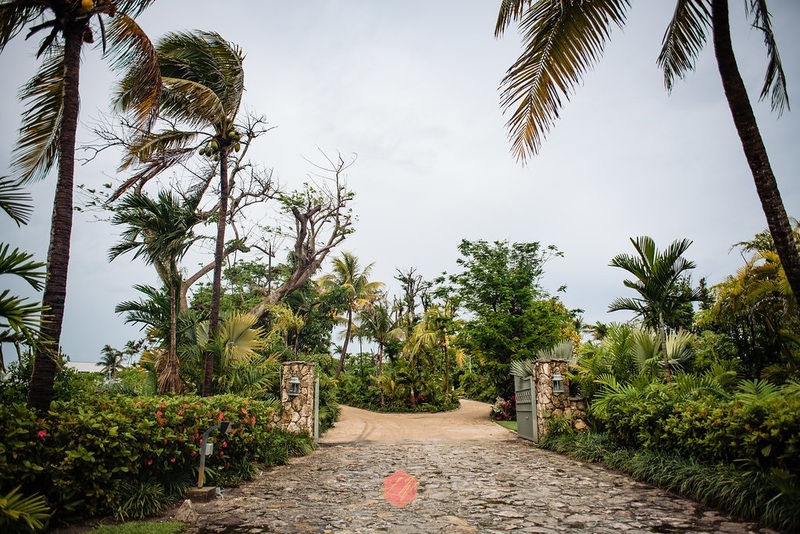 Leslie and Mark’s indoor reception took place at a beautiful private estate in Freeport, Grand Bahama Island. 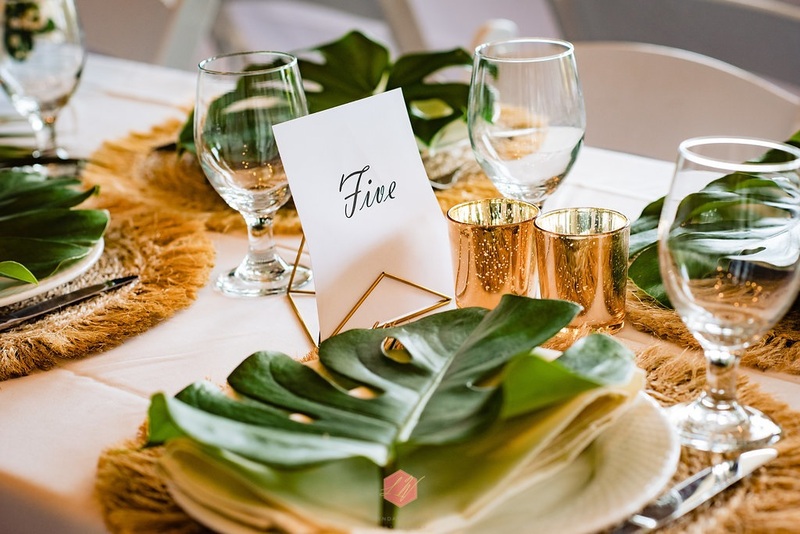 Tables were comprised of Monstera leaves, neutral linens and textiles, and shimmery gold tea lights. 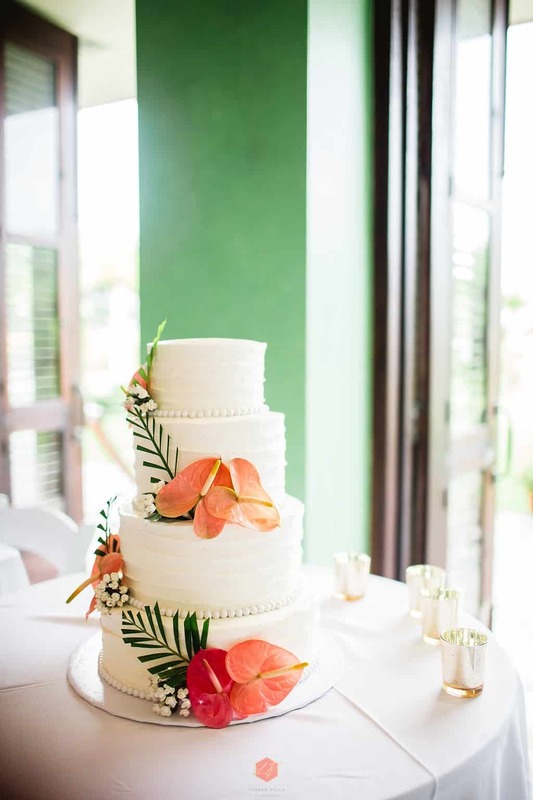 This delicious wedding cake was bedecked with anthurium and greenery. Cheers to the happy couple! 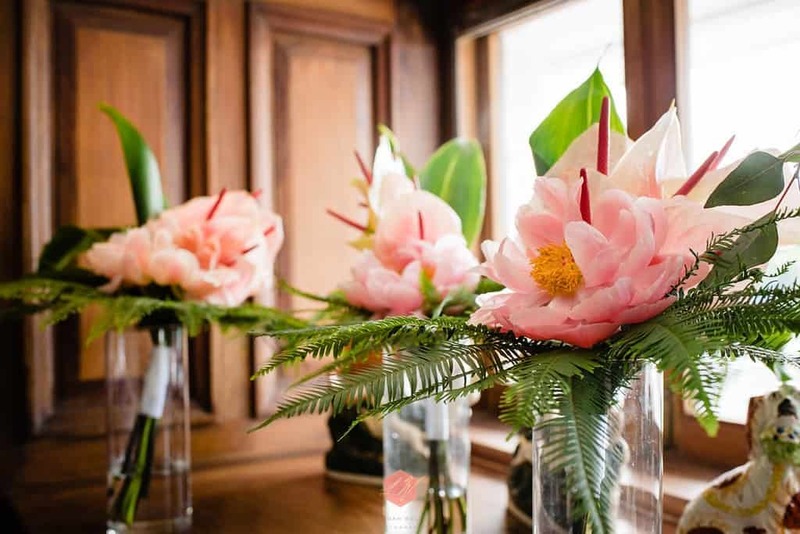 Contact us today to start planning your unique special day!